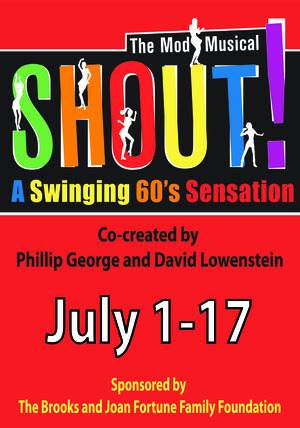 The Depot Theatre’s 38th season begins with “Shout! : The Mod Musical.” SHOUT! travels in time from 1960 to 1970 chronicling the dawning liberation of women. With its heart on its sleeve (and its tongue planted firmly in its cheek), SHOUT! features terrific new arrangements of such classic tunes as To Sir With Love, Downtown, Son of a Preacher Man & Goldfinger. This production of Shout is sponsored by The Brooks and Joan Fortune Family Foundation. The 2016 Season is sponsored by The Galley Restaurant & Bar at Westport Marina. MISSY DOWSE (Blue Girl) “Dont Sleep in the Subway” was Missy’s favorite song as a kid, and she is super excited to sing it this summer. National Tour: Gypsy(Louise) Regional: East Coast premiere of Summer of Love (Holly), Young Frankenstein (Inga), The Producers (Ulla), Thoroughly Modern Millie (Millie), Kiss Me Kate (Lois/Bianca). TV: SMASH. 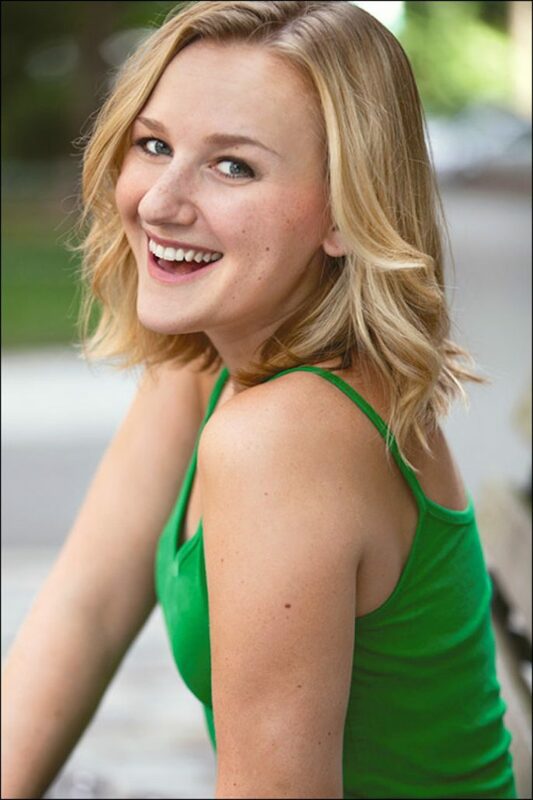 KRISTA KURTZBERG (Red Girl) Originally from Atlanta, received her BFA in theater from Wright State. Krista was last seen at the Depot Theater in 2010 as Debbie Reynolds in What a Glorious Feeling. Other favorite credits include: Cat in the Hat in Seussical (tour and off broadway). Penny in Hairspray, Gymslip Who in the first national tour of How the Grinch Stole Christmas, Ariel in Footloose, Hope inAnything Goes, and Ruby in Dames at Sea. Krista has performed in theaters all over the country and in Russia. She lives with her husband in Long Island and is a proud member of Actors’ Equity. www.kristakurtzberg.com. 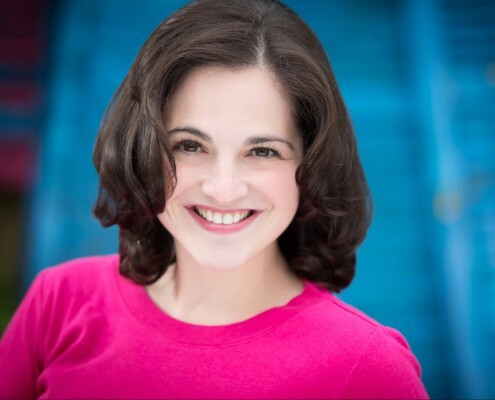 LEXIE FRARE (Choreographer) Lexie is thrilled to work on her first Depot Theatre production with her dear friend Amy Griffin. 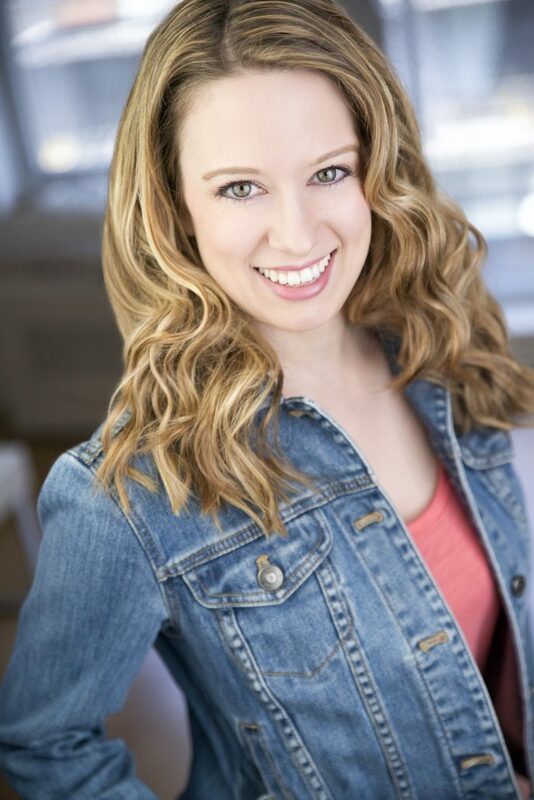 Lexie is the choreographer of The White Plains PAC where she has worked on the regional premieres of The Little Mermaid, Spring Awakening, Tarzan and Disney on the Record. 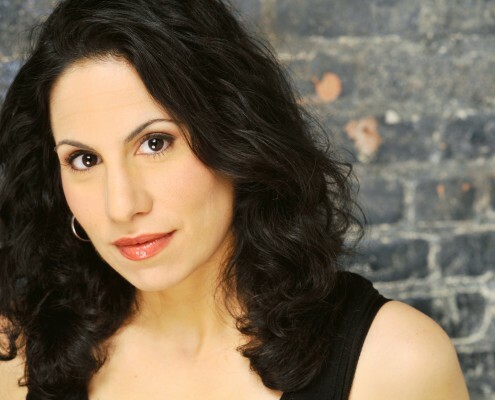 Other credits include Millbrook Playhouse, Lee Strasberg Institute and the Westchester Broadway Theatre. 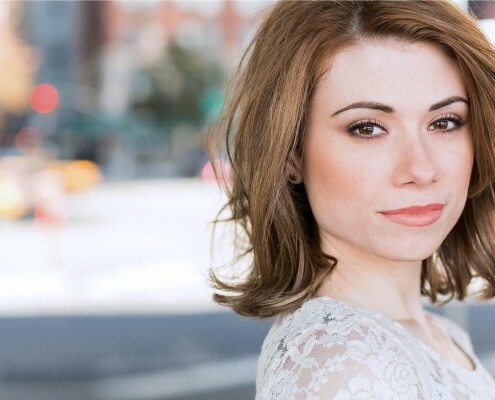 Lexie is currently a Teaching Artist with Disney Theatrical Group as well as the Resident Director/ Choreographer at the Helen Hayes Youth Theatre in Nyack NY. She is working towards her Masters in a Educational Theatre. JOE SCHERMANN (Music Director) is thrilled to be returning to the Depot after music directing The Bikinis and Savin’ Up for Saturday Night last summer, My Way and Pete ‘N’ Keely in 2014, as well as music directing and performing in its productions of Riffin’ and Tappin’ and Wicked City back in 2011. Joe has acted as musical director and supervisor for numerous cabarets and workshops in New York City as well as regional productions of Guys and Dolls, Batboy, White Christmas, Best Little Whorehouse…, Smokey Joe’s Café and Grease. In 2012 he wrote the music and lyrics for and starred in the award-winning indie film musical How Do You Write a Joe Schermann Song?. Other composer/lyricist credits include Seeking Sondheim (WVMTF, NYC, Jerron Herman lyricist), Training (Elements Theatre, Santa Barbara, CA), as well as Roulette and Dark Passenger: The Musical, which each had their first reading and workshop respectively in New York City last summer (the latter of which also featured Joe in the lead role of Dexter Morgan). BONNIE B. BREWER (Scenic Designer) has been working the professional theatre circuit for more than a quarter of a century. Professional Stage Manager & Company Member at Pendragon Theatre since 1990, she is also a Director of more than 20 shows, and has shared her talents in designing sound, lights and creating props for close to 150 productions throughout upstate NY. She has even had the occasion to make a few rare on-stage guest appearances – sometimes on purpose, other times out of necessity. Recently she found herself teching two shows simultaneously on opposite sides of the mountains: Man of La Mancha at Pendragon, and My Way at The Depot. JIM CARROLL (Sound Designer) Jim’s love of technical theatre that started when he was in Middle School. Challenging a severe case of stage fright, he made his acting debut as Audrey II in Little Shop of Horrors for Essex Theatre Company in 2005. Jim has been Technical Director or provided support for over 150 shows since 1998 with various local and community theatres. He can occasionally be seen on the Discovery and Travel Channels talking about his sightings of Champ. Jim and his family run ShipStore.com and Westport Marina. In addition, he creates memories with OvertimePhotoBooth.com. 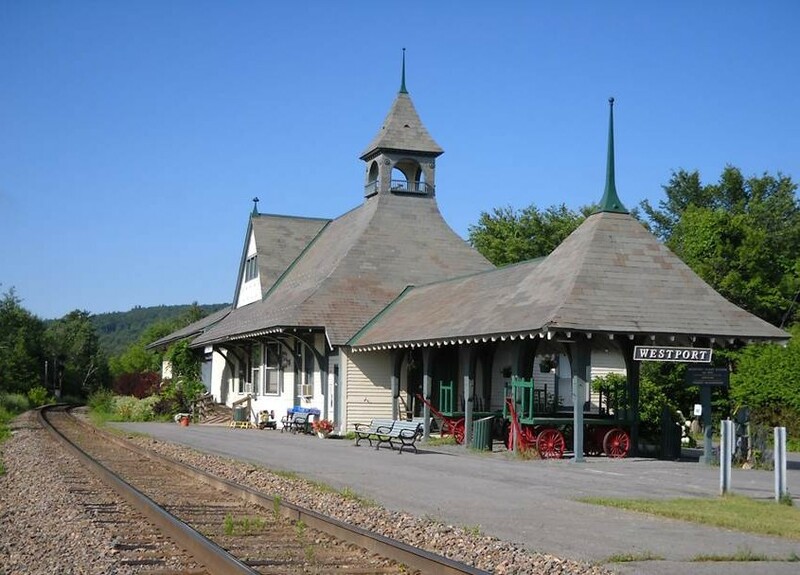 Jim is a new member of the Board of Trustees for the Depot Theatre and continues his work with the Boquet River Theatre Festival, the NYS Theatre Education Association and as a member of the Westport Central School. Depot Dialogue: Join the cast and crew after the 5:00 performance on Sunday, July 10, for a moderated discussion about the show. ABOUT: SHOUT! travels in time from 1960 to 1970 chronicling the dawning liberation of women. With its heart on its sleeve (and its tongue planted firmly in its cheek), SHOUT! features terrific new arrangements of such classic tunes as To Sir With Love, Downtown, Son of a Preacher Man & Goldfinger. TICKETS: Tickets for Shout! The Mod Musical are $30 ($28 seniors/students) and are based on availability. A $1 facility fee will be added to each ticket to help defray the cost of maintaining our historic theatre. Tickets and subscriptions may be purchased online at depottheatre.org, by phone at 518-962-4449 or at the Box Office window at 6705 Main Street in Westport. 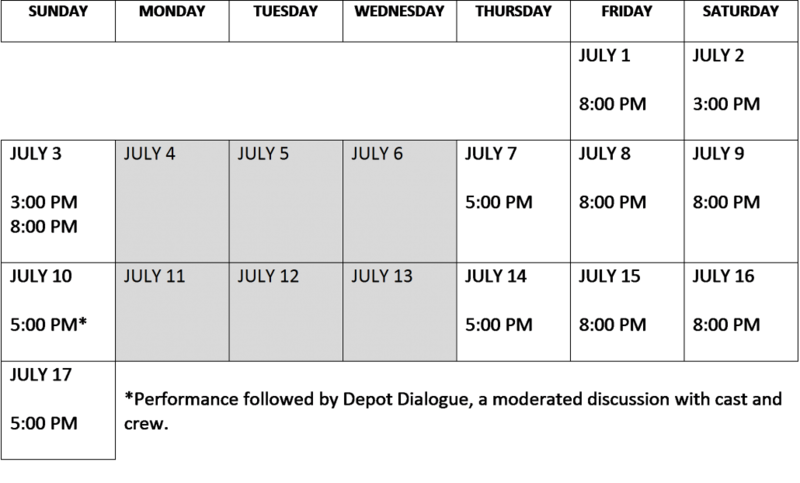 Phone and Window hours are 1:00 – 4:00 p.m. on Monday, Wednesday, Thursday and Friday for June. As of July 1st the Box Office will be open every day, except Tuesday, from 1:00 – 4:00 p.m. or from 1:00 p.m. until showtime on performance days.